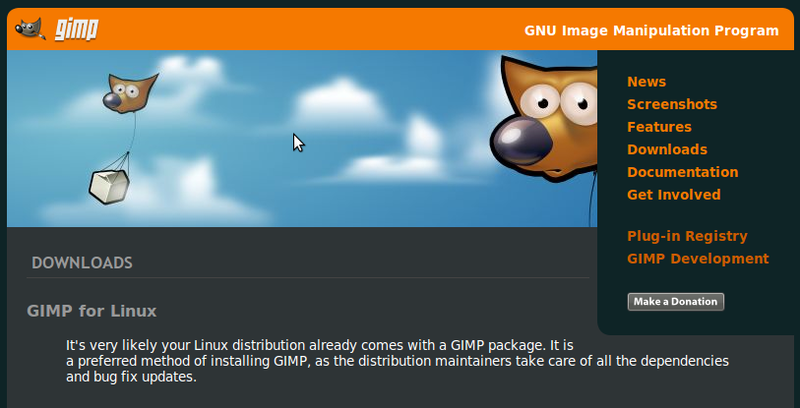 I did get locked out of my Ubuntu system a little while back. I’m not sure how, but the computer just wouldn’t accept my Administrator password. Anyhow, this is for those of you who find yourselves, for whatever reason, in the same position. Fear not! For there are many pages about how to do this online. But they are all slightly different which can get a bit confusing. This is the way that worked for me. 1.) Get to the boot menu. This can be done in different ways depending on your setup. 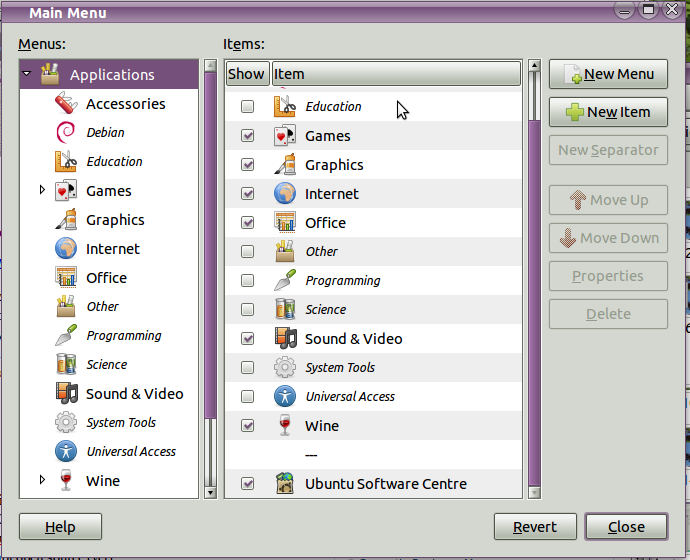 Mine goes to Grub 2 menu by default. If you are using a computer that doesn’t go to boot menu by default I think you can get there by pressing and holding shift during startup. 3.) 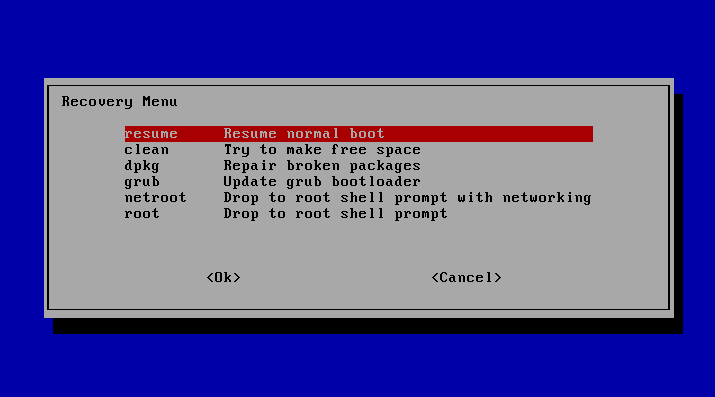 Choose Drop to root shell prompt and press enter. 5.) Type passwd and then the username of the user you are changing the password for. Type the password you want for this user and press enter. IMPORTANT: As you type there will be no movement on the screen. This is normal. 7.) You will be asked to retype the password. Type it and press enter. 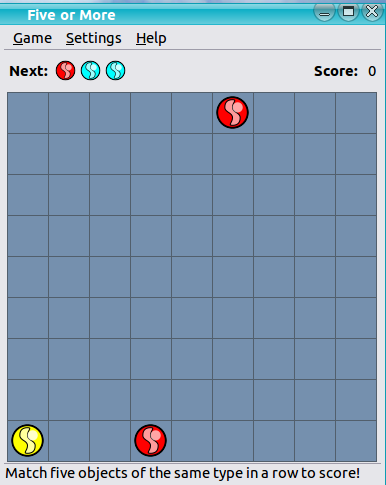 Again, there will be no movement on the screen but don’t worry that’s how it should be. You should now be able to log-in as Admin again. If you don’t have any password security Ubuntu will ask if you want to connect to the available network. I have wireless password secured internet. 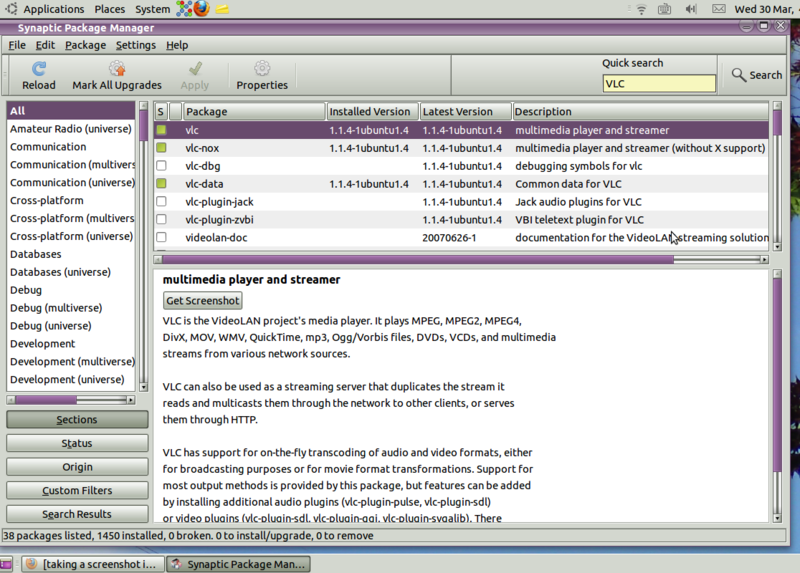 In order to add my network I opened network connections and clicked Add which opens the window below. 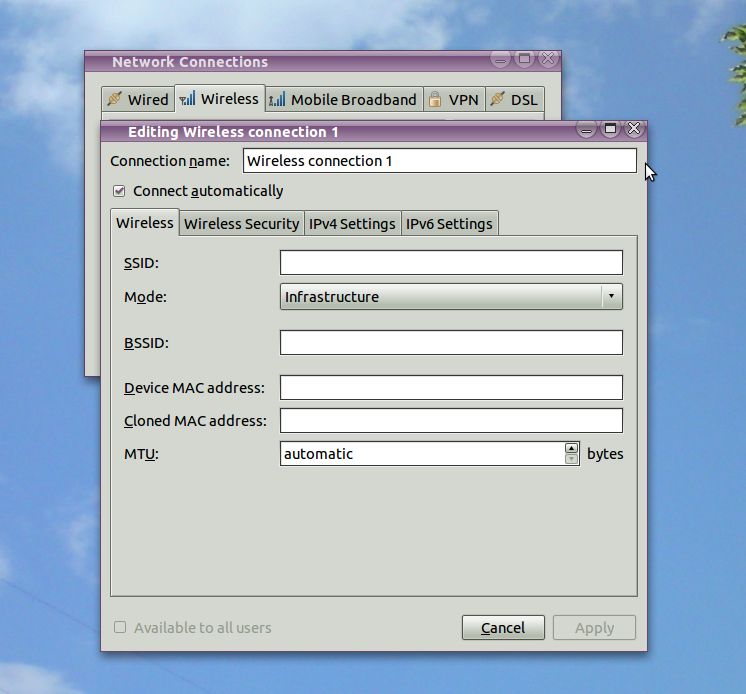 Enter the name of your network at the top and choose whether you want it to connect automatically using the box directly below. There are several tabs but the only one I changed was Wireless Security. If you are on a password protected home network it is most likely that your wireless is WPA & WPA2 Personal so choose that option from the drop down list. Enter your password and click Apply. If you want to turn your network on and off manually you can do so by clicking the network icon (the one on the far left of the system tray) on your panel. Not everyone uses more than one language but for those who do, Ubuntu handles languages like a dream. Say goodbye to all those Windows problems with languages not being recognised or not installing or just generally not working. I use Japanese and English language systems and for me everything worked first time. 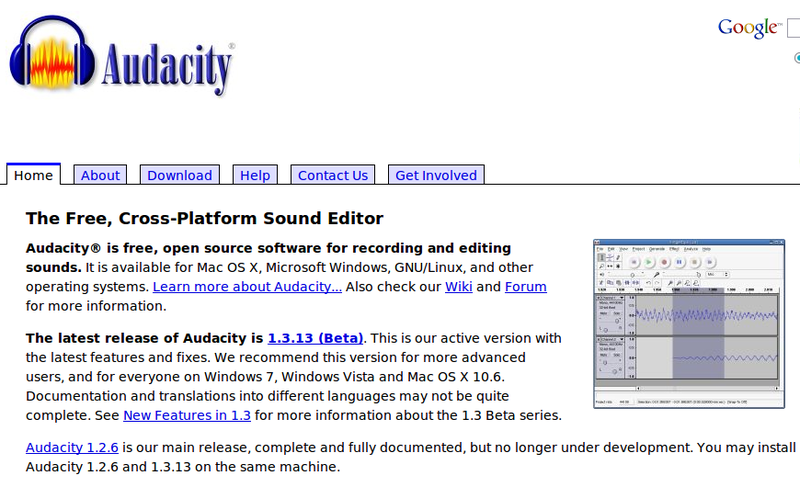 This is an important one if you want to use more than one language in your system. 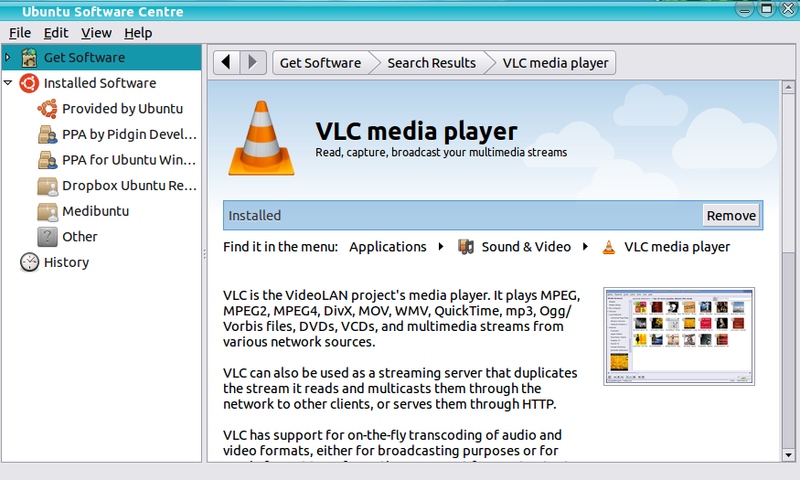 To add a language to your system click Install/Remove Languages and choose the language you want. Seriously it IS that easy. You can choose any Keyboard Input method system but I use ibus. 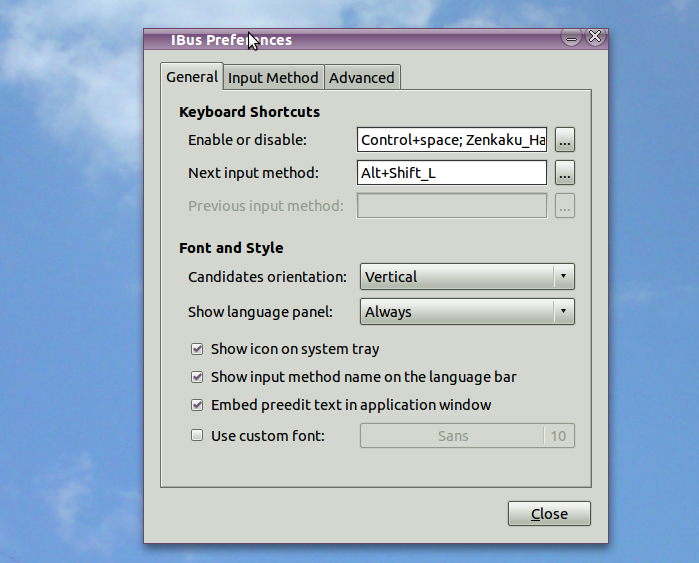 Because I use ibus, my Keyboard Input Methods come up as iBus Preferences by default. Here you can check how to swap between languages using your keyboard. For me it is Alt+Shift+L. 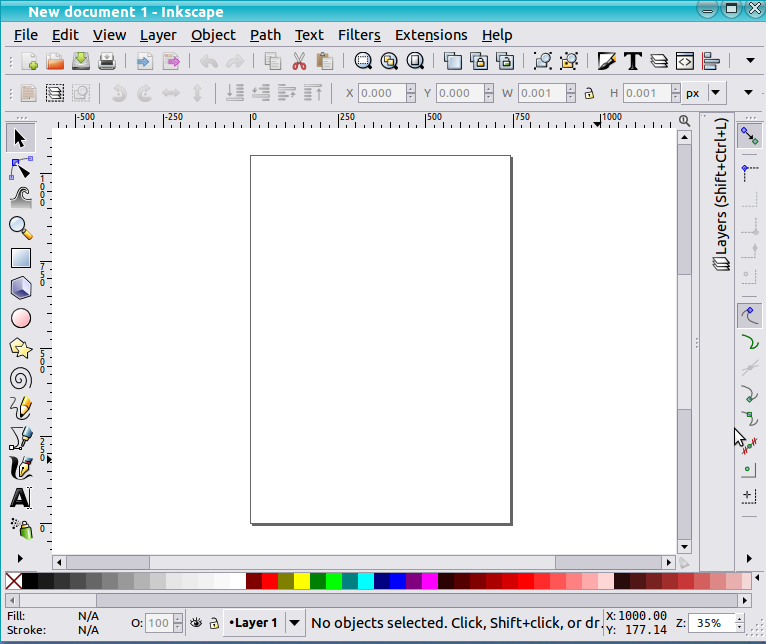 I choose to Show icon on system tray as I use it all the time. If you click on the icon you can turn your languages on and off manually. As you can see I have mine off by default. If you click on the Input Method tab you can select the one which works for you. 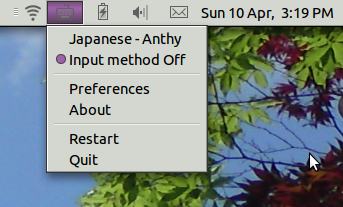 I use Anthy and it works fine. Most things in Administration I haven’t really touched since I first set Ubuntu up but a lot of settings overlap between Administration and Preferences so I won’t separate them by where they are located. Your Panel is the bar at the top of the screen. If you use an application a lot you can also add things to your panel either by dragging the item from your menu, or by right clicking on the panel and choosing Add to Panel. 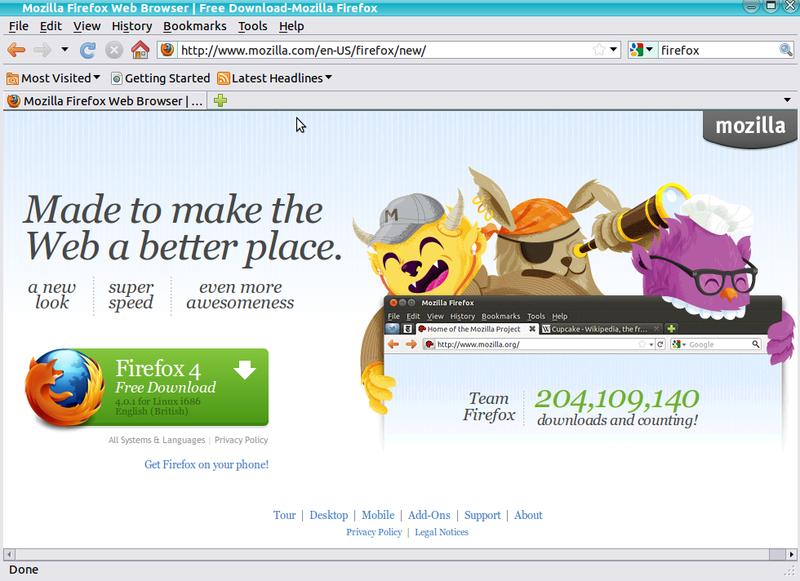 As you can see I have a few things like Mozilla Firefox added to mine (on the left). 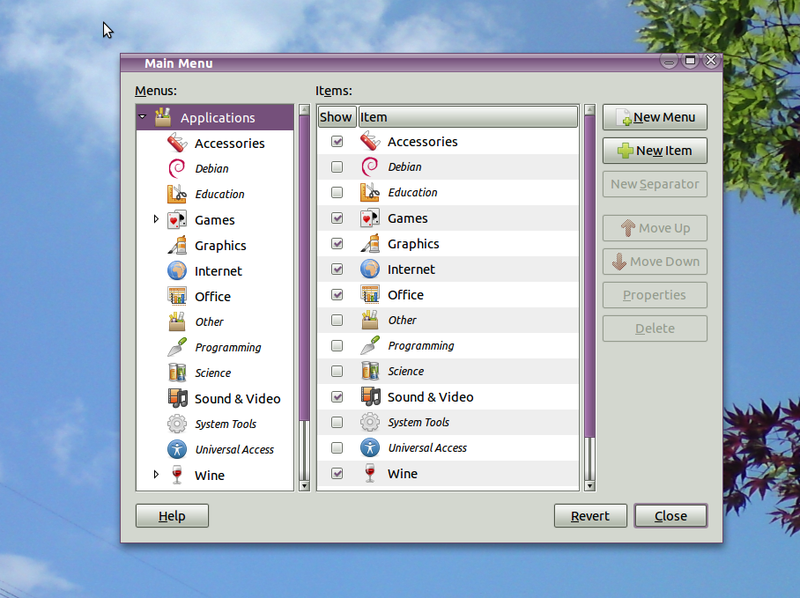 On the right you will have your System Tray with all your practical icons like Volume etc. You can set these to appear manually but some will appear by default. You can add any item to your menus by selecting it here. 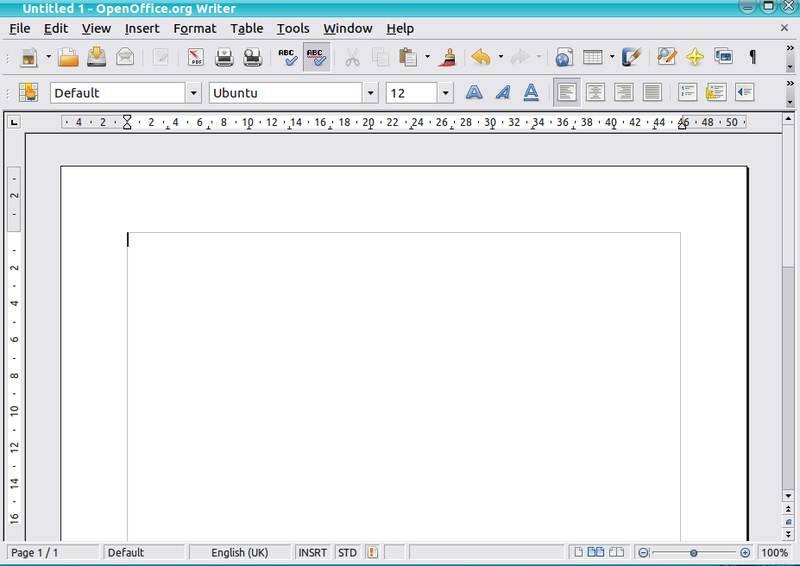 You can also create a new original menu using the New Menu button on the right. 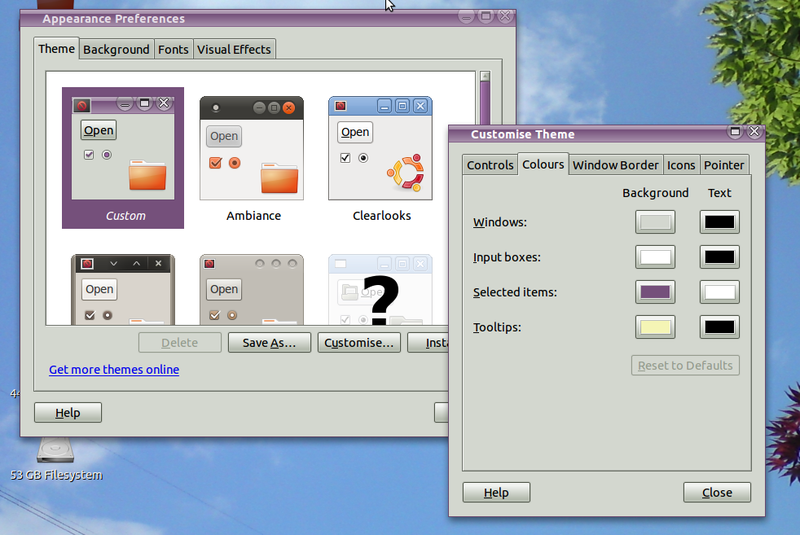 Everything you can can customise involving your display such as themes, backgrounds and fonts are in Appearance. You can install new themes from the website by going to the Themes tab and clicking Get more themes online. 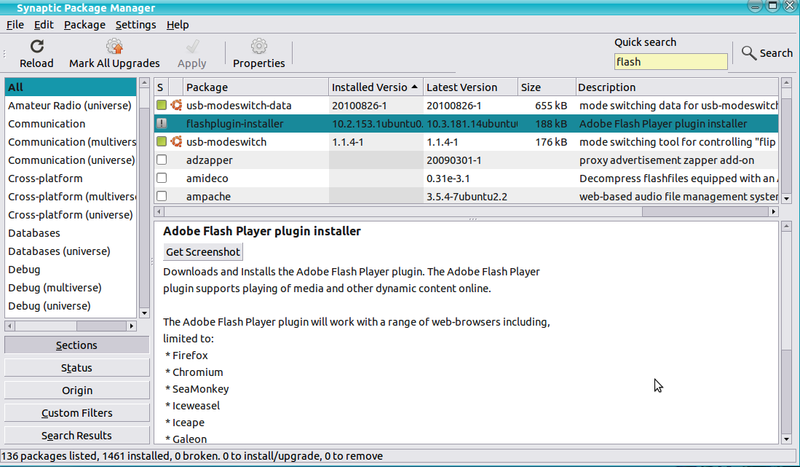 Once you have downloaded your theme, you can install it by dragging the whole folder (don’t extract it – take the whole tar.gz) into your theme tab window. It will ask you if you want to apply theme now. Click on apply and then Customise to get the colours/buttons you want. When you are finished click save as to save the theme for later use. 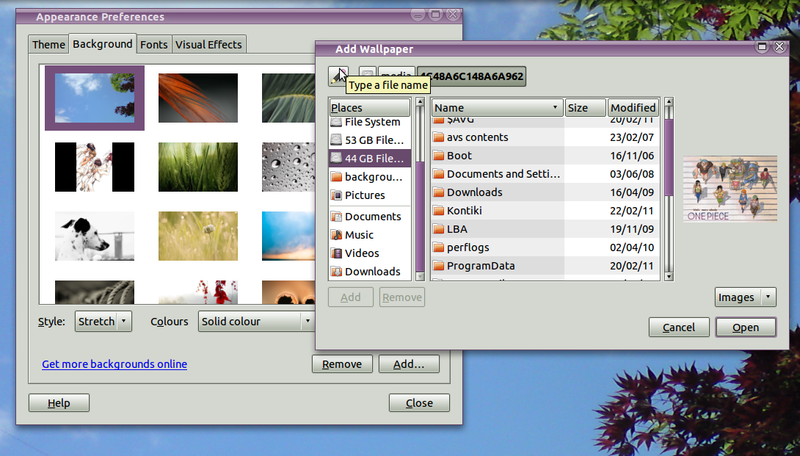 NOTE: with some themes you will not have the option to change the colours etc. 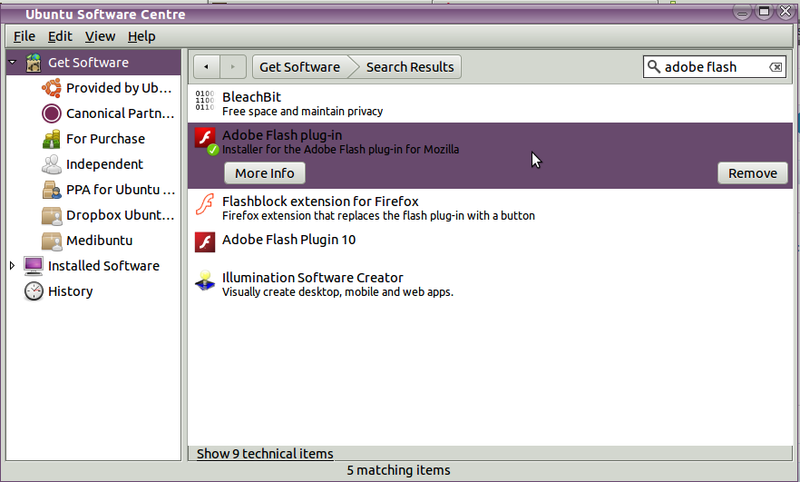 As you can see I have created my own custom theme by choosing my favourite controls and colours from the tabs. To add a new background to the default collection just go to the Background tab, click Add, find the picture you want to use, and click Open. You can then choose it from the collection. Exactly what it says. An extremely useful list of all the keyboard shortcuts you will ever use. This is just like the power management in Windows. You can edit settings like how long your system waits till it dims the screen and the action you want it to take when you close the lid. 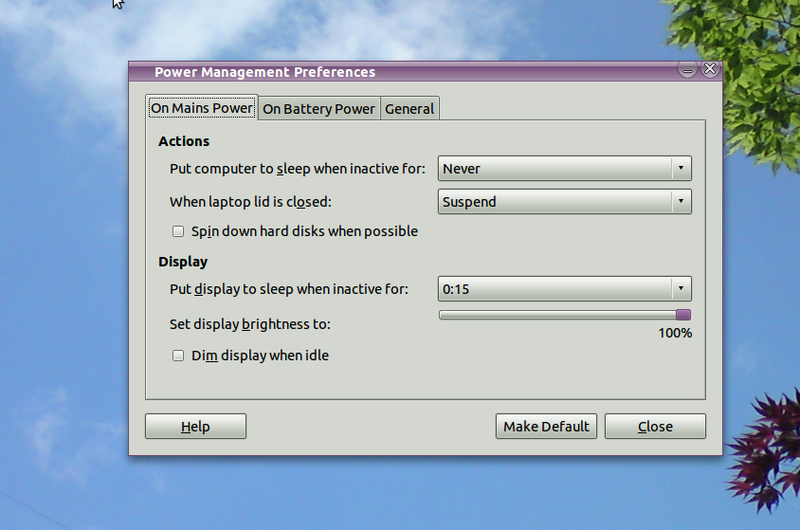 Also, you can choose whether to show the Battery icon in your System Tray or not.